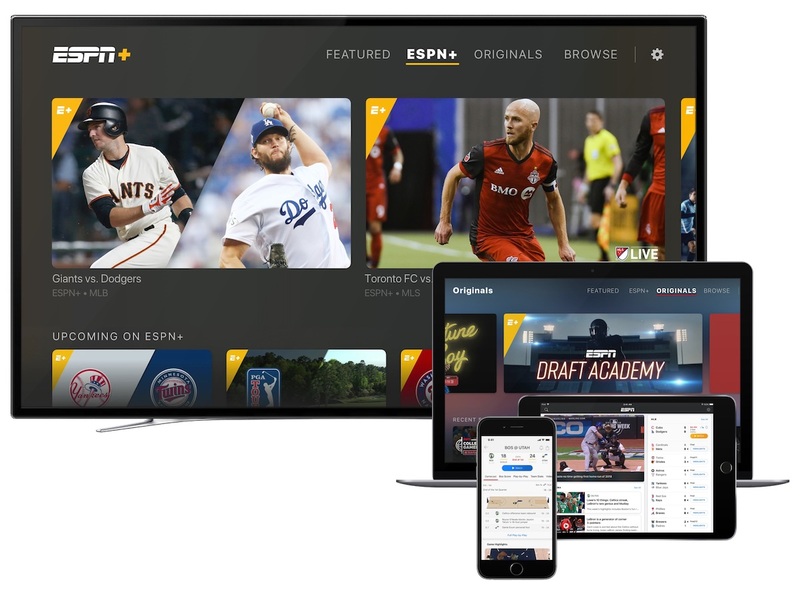 ESPN today launched ESPN+, the new direct-to-consumer platform from Disney that was first announced just over a week ago. This launch marks the first of any such sort from Disney and is available on ESPN.com and via a newly redesigned ESPN app for both iOS and tvOS. If you’re a user of Apple’s TV app then ESPN+ is also supported across all devices via this method as well. ESPN+ is also available for Android and Chromecast devices. Users of the app will continue to receive free content which includes such things as sports scores and news, while media including highlights and select live or on-demand audio content is also available for instant streaming. The new ESPN+ area includes thousands of live, streamable sporting events as well as original TV programming, movies and more. The content within ESPN+ will be based on each user’s favorite teams, sports and leagues which should mean that they will see content specifically suited to their tastes. Right now ESPN+ is only available to those who reside in the United States and will cost $4.99 a month, although paying yearly will see a saving thanks to the $49.99 asking price. There is currently a promotion running during launch week that will allow users to try ESPN+ out for 30 days with no fee payable. MLB – A daily game, seven days per week, throughout the regular season, a total of more than 180 games that will include every MLB team. NHL – Beginning with the 2018-19 season, a daily game throughout the regular season, a total of more than 180 hockey games. MLS – the entire MLS LIVE out-of-market schedule with more than 250 games this season, as well as the local-market home for the Chicago Fire, exclusively bringing 23 Fire matches to fans in Chicago. College Sports – Football, basketball, baseball, softball, soccer, track & field, gymnastics, swimming & diving, lacrosse, wrestling, volleyball, golf and more. English Football League – Approximately 200 total matches. UEFA Nations League – Over 100 live matches from the newly created tournament. While the content available will unfortunately still be subject to local media blackouts, the app itself can be downloaded by anyone, right now and for free.